Throughout history, great art collections have been amassed by people with power, wealth and ambition. Now, the rise of art as an asset class means many new collectors are driven by the idea of collecting as a symbol of achievement, or as an expression of competitive ownership. In an art market driven by mounting competition for unique objects, the thrill of the chase brings out the hunter instinct and introduces an element of brinkmanship. 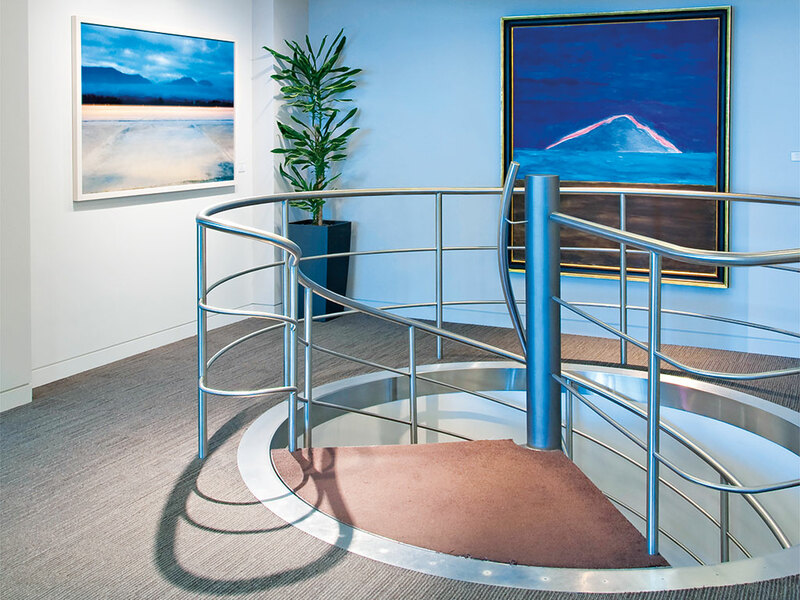 It is perhaps natural therefore that art collections within the corporate space are becoming increasingly popular. Contemporary art creates animation in offices and offers a departure from the generic corporate wallpaper of mass-produced prints. Carefully selected and dynamic collections create an entirely different and memorable impression of a company. A collection can also create a sense of connection between multiple offices for global companies, or between a company and its local area or home country. Moreover, a carefully curated art collection can in some cases be an investment that can sit on the balance sheet and add shareholder value. In light of this growing trend, European CEO spoke with Fabienne Nicholas, Head of Consultancy at the Contemporary Art Society, about the art of collecting and how it can deliver an astute long-term investment, alongside an aesthetic richness that provides a lasting legacy. In your experience, why do people start collecting art? Much of it is down to personality and personal motivation. Fundamentally, it is about individual expression – the idea of a collection as a way of representing our most inner self to the world. A person may be driven by a love of beauty, but really great collections are influenced by more complex motivations. It could also be a sense of social responsibility, a belief in the power of art to shape our world or help us view it through an alternative lens, leading to a personal commitment to supporting artists and creative practice. Or it may even be an attraction to the world of artists, curators and gallerists, and the idea of obtaining privileged access to glamorous private views and special events. How does that turn into a lifetime pursuit? Very often, we find collectors maintain their interest through the pursuit of knowledge and a desire for intellectual engagement. Great collecting requires intensive research and understanding; some become completely motivated by an academic and forensic approach, and become deeply engaged with a subject, theme or particular movement. The more you learn, the more engaged you become as a collector. Contemporary artists in particular offer ways of engaging with contemporary discourse; artists are filtering, linking, dissecting aspects of our world, which can be seen as a form of knowledge production in itself. In what ways are corporate art collectors different? The majority of corporate art collections come about because there is a passionate, motivated individual in a decision making role in the company – usually a senior executive. So, you could apply all of the above motivations to the first principles of how corporate collections come about. Corporate collections, and how they are put together, evolve over time. We find many more corporate collections are filtered through the assistance of curators or art advisors, with decisions in some cases spread through to art committees and representative groups, and are then sustained through the development of rationales that tie into corporate ethos, goals or attitudes. But can art collections really contribute to business goals? A collection can reinforce a company’s brand and values through the communication of broad themes, such as thought leadership, cultural intelligence, sustainability and international reach. For example, our global collection for Aspen sees the artwork on the walls as windows to the world: apertures of the imagination that provide a way of seeing just that little bit differently. It also demonstrates their commitment to creative solutions and innovative thinking. For another client, Inflexion Private Equity, a collection built for their Mayfair offices centred on the idea of a new generation of artists, focusing on emerging talent as a way of signalling social currency and a sense of cultural awareness. Moreover, collections can add depth to marketing and audience reach by attracting new audiences and speaking to wider demographics. For many years, we curated a programme of temporary outdoor sculpture for the Economist Group’s plaza in St James, London, which was tied into the brand’s repositioning. The exhibitions and associated events attracted a socially current, educated and culturally aware audience, not only interested in the art, but also in the critical engagement with ideas that art can offer. always at the front of our thoughts when we are thinking about collections. How does the Contemporary Art Society engage with firms to ensure art collections do aid business development? Our creative and consultative approach to developing and managing contemporary art collections helps our clients to leverage the dynamism of contemporary art to meet their business goals. We design bespoke programmes in response to a range of corporate needs, from hospitality to brand positioning, professional development and public relations. We’re proactive in the way we communicate with clients, working across business departments to understand the complexity of business aims. Often, we respond to a business need and develop creative ways of meeting it. As an example, we developed the Aspen Online Art Award as a response to two primary company aims: to generate visibility within the higher education sector, and to demonstrate engagement with the pace of technological development. Out of that came a dynamic commissioning award that supports artists at their time of greatest need – which is when they have just graduated, and are still looking for opportunities and professional development to help carve out their niche in the market. What is your organisation doing to promote a sense of corporate responsibility in the art sector? As a venerable charitable organisation, founded in 1910, our mission has always focused on building important public collections for audiences now and into the future. Fulfilling this mission relies on a healthy contemporary art ecology, and we see companies who collect as a part of this. They buy important art, support artists and galleries, and add to contemporary art knowledge. Companies can be seen as custodians, as well as collectors of great art. We work to embed this ethos by developing vitally important collections that will have a relevance to art history through holdings of museum quality works, often from younger artists that are beginning to achieve critical recognition – the art stars of the future. By creating a collection that is valued as an integral part of the company, we increase the chances that the collection is sustained and maintained, so that it can be appreciated in times to come.